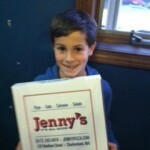 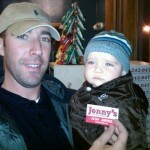 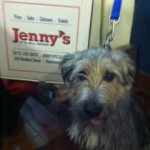 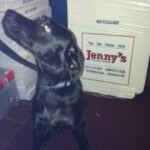 Send us a picture of you enjoying one of Jenny’s dishes and we will post it in our Photo Gallery! 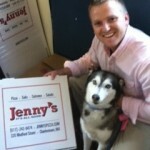 You could win a free Jenny’s T-Shirt, Hat or Pizza! 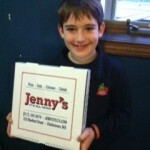 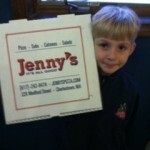 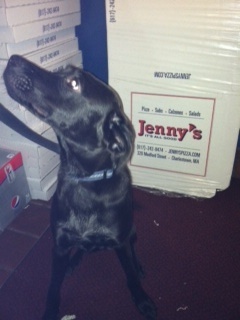 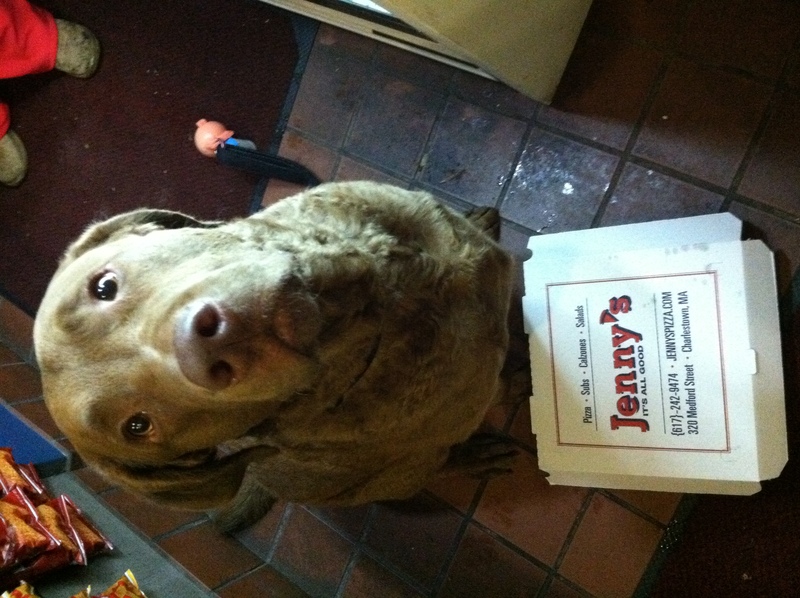 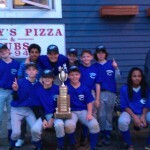 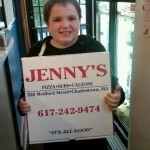 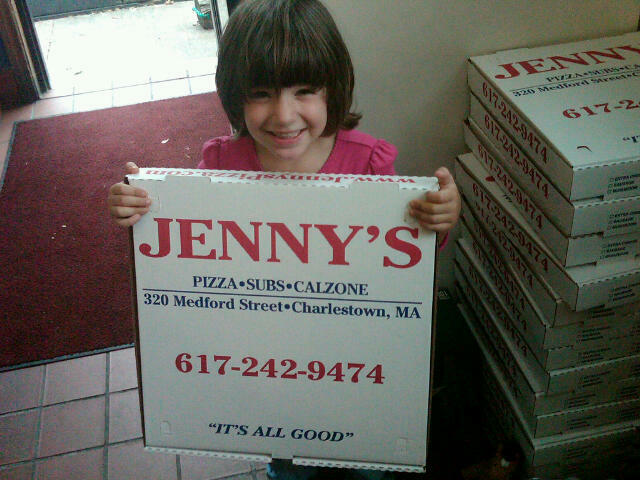 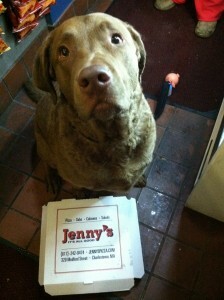 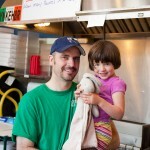 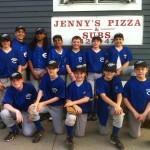 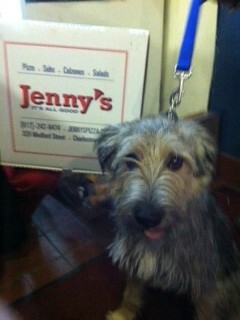 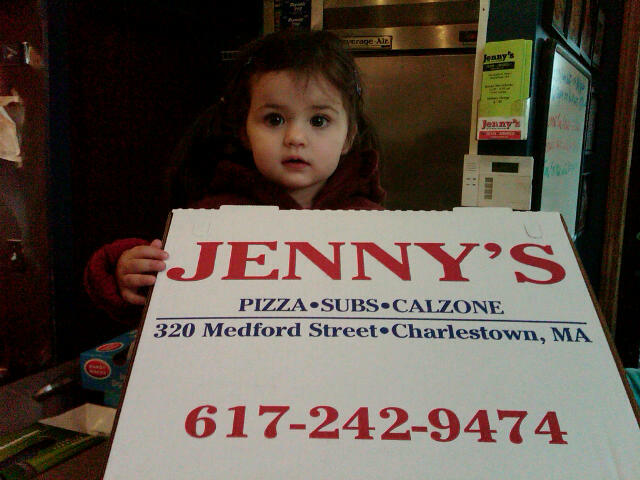 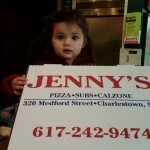 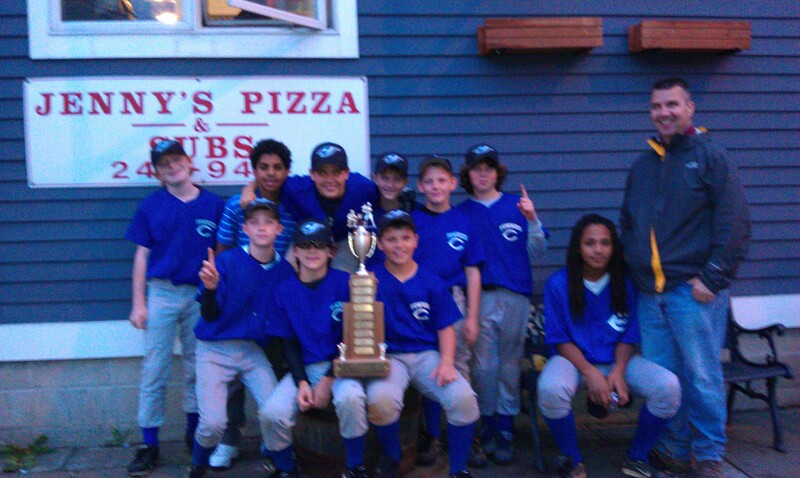 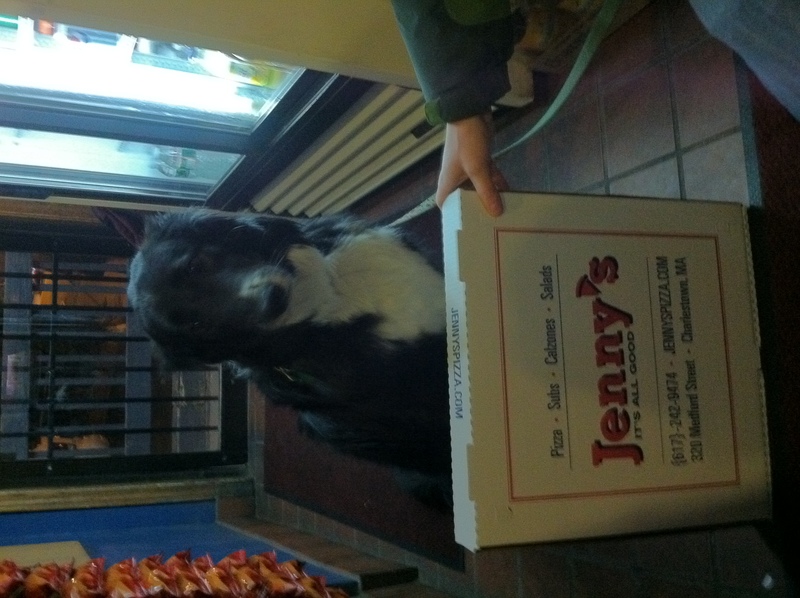 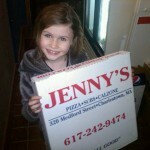 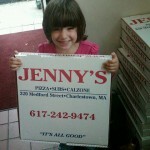 Email your picture(s) to Sue at Sue@jennyspizza.com. 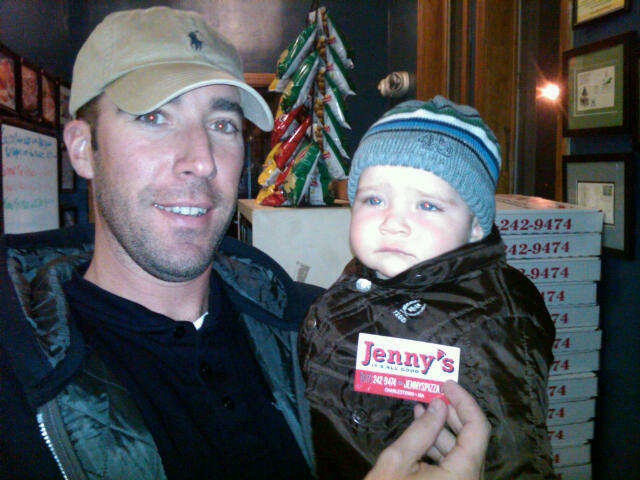 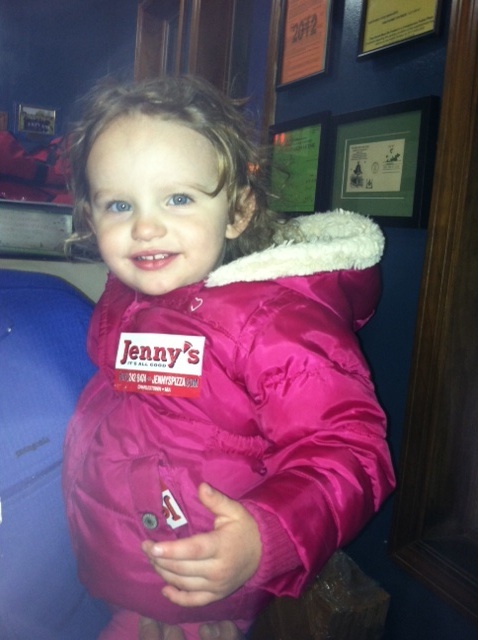 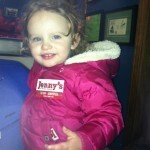 One of our Jenny’s fans, Arabelle stopped in last night for dinner and she proudly displayed a Jenny’s sticker on her jacket. 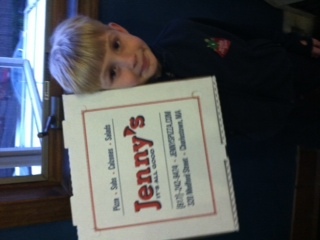 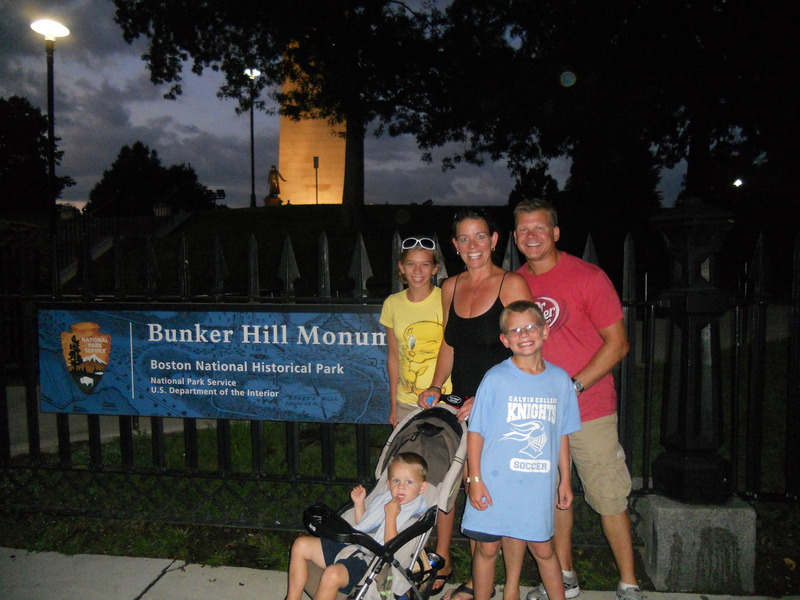 We received a special thanks from a family that was visiting from Michigan – check out their photo below…they stopped in Jenny’s and then headed to the Monument to check out the sites of C’Town. 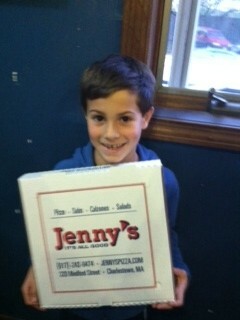 We have fans from all over the country. 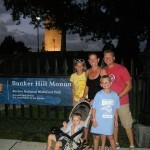 A couple and their son “googled” us while they were in town from Hawaii. 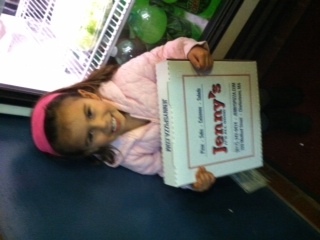 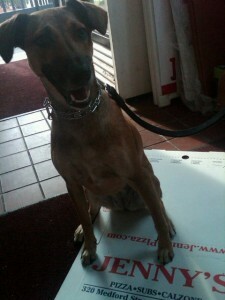 They loved our pizza too! 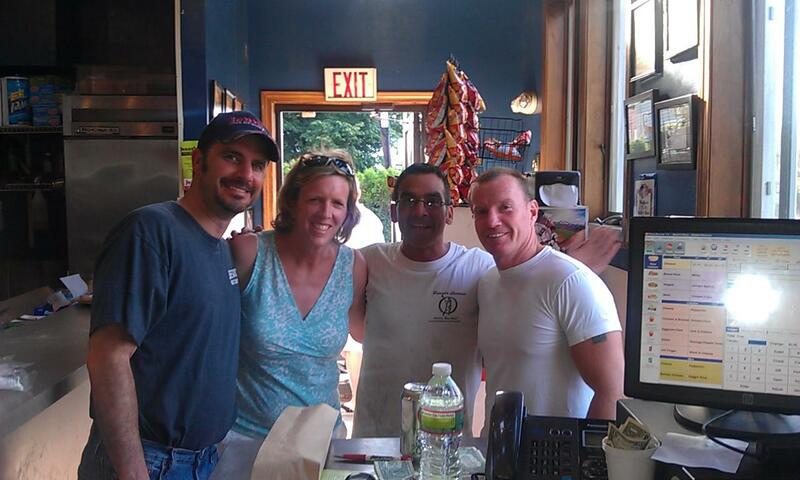 We had a special guest stop in our shop recently – Micky Ward. 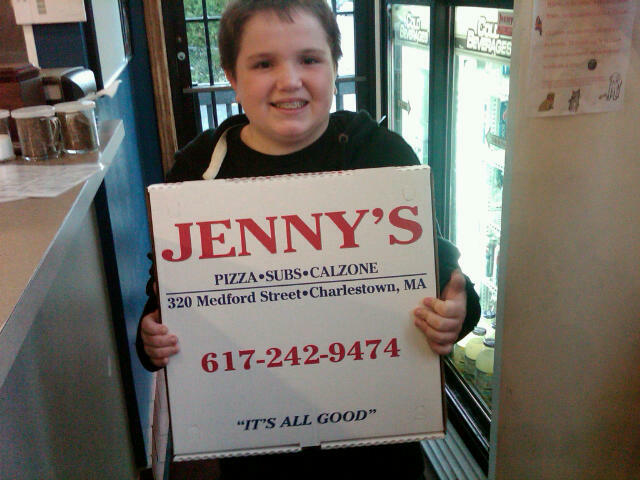 He likes our subs! 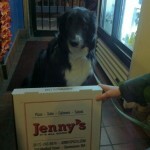 We always have treats for our four legged friends. 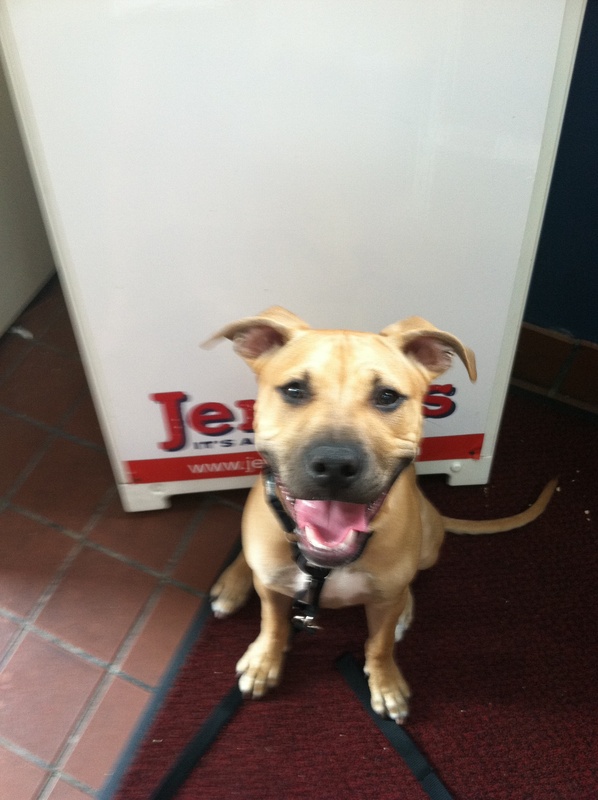 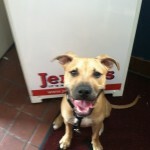 Come on by for a doggie biscuit and if Sue is at the shop, she’ll take a picture of our pooch and post it online! 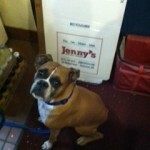 Eddie, one of our fabulous delivery drivers brought Bandit (Boxer) in for a biscuit. 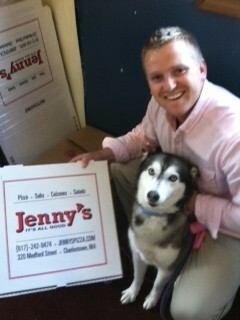 I think Bandit would have preferred a pizza! 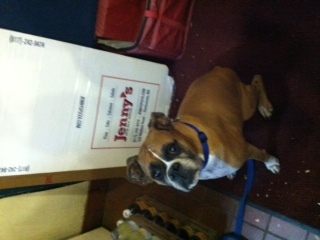 Two new doggies can into visit this week – Tessa and George. 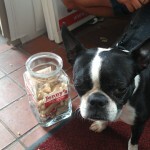 Check out their cute mugs!